More Meteor Showers, More Spaceship Adventures, the best sci-fi video game experience with the addition of virtual reality “A Time in Space” is back again with its revolutionary sequel game but this time, it is much better and way more amusement. As we already know that the way virtual reality games provide the aura of entertainment is speechless and adding the fun of science fiction is a new era of gaming. Immersive action, space battles and fanatic sceneries. Explore the vast horizons of Universe and Galaxies along with your aircraft and a robot companion. Indulge into massive hours of fun gaming and action right from your smartphone. Just turn on the Headset and Go! I’ve already played the older installment and loved this one too. So, without any further talking, let’s dip into this journey of sheer joy and unlimited entertainment. Creanet3D Studios are back again, and this spell is hell-a-lot better. 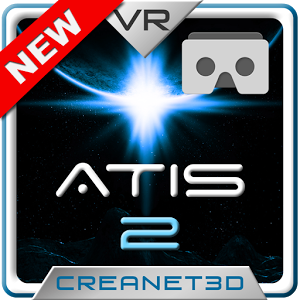 A Time in Space 2 is the Anniversary Edition Android game specially crafted for VR headsets and Google Cardboards. It is a premium game and is only available on the Play Store. 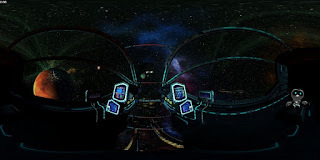 The game is a typical virtual coaster ride but this time, it is set in sci-fi kind of space theme with an undiscovered universe to travel through. Most of the VR games just give a basic glimpse of all the motion fuzz with adequate graphics and sound effects, but Creanet3D is always known for their beautifully crafted VR games with stunning graphics and 3D surround sounds. So, I am pretty confident that this game would not disappoint me in any perspective. So, let’s get started with all the downloading and features. First thing’s first, you have to download A Time in Space 2 from the Google PlayStore to get started. Moreover, iPhone Users have to suffer as it not available for them yet. Obviously, you need a VR headset to play it, and I’m using the Gear VR headset. Also, this game supports almost every headset, Google Cardboard or any other cardboard alternatives and with so many remarkable features, this game is a premium offering but a very inexpensive one. The price of the game is mentioned later in the review. So keep reading. Just put on the VR headset, a pair of earphones and you’ve become the astronaut who is just about to begin his epic journey of space voyage. For everyone who haven’t experienced the virtual reality fun, I recommend you to start your gaming journey with this game. A Space in Time 2 is a warp jump into the fanatic world of planets, starships and all the fantastic fun like that of Star Wars era. 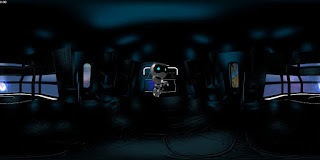 Unlike the previous version, the game starts with a surprising little robot that introduces you to the game and the interface. Within a few seconds, you’ll outrun some space stations and wormholes with a lot of cool sights and sceneries that would make your eyes go GAGA over the graphics. The real adventure starts when you enter inside all those cool spaceships which give it a little futuristic feel and for once, you’ll feel that you’re on a space mission and residing in a space rocket. Well, that’s one of the incredible feels that VR games offer. Floating asteroids here and there, and a visual delight for everyone. The game packs very detailed surroundings and all the surprising elements are timed correctly. It’s sad that the game only lasts for few minutes but trust me, those several minutes are worthy. Well, that was all about a Time in Space 2, the sequel version of the very famous VR space rollercoaster game. It’s much better and much adventurous. The game only costs $0.99 and offers a premium virtual experience of the beautiful space coupled with action and adventure filled battles and dodging asteroids. You can also try out it previous version, available on the PlayStore free. Moreover, it would give you the glimpse of all the amazing and amusing fun you can have in the VR gaming. Do share your comments on the game below and if you’ve tried the game, then please let me know what you think about this fantasy ride of adventure with the twist of space action. Cheers!